* From Dale Fehringer, SCIP Fellows Award Winner and former member of the SCIP board of Directors,: “Writing a CI book for management has been done before, but this one is unique in that it is targeted at executives faced with developing their own CI…. It may be asking too much to expect business executives who need CI and don’t have access to CI resources to: (a) conduct their own CI research and analysis, and (b) objectively use that analysis to help make proactive business decisions. But readers who want to develop their own CI now have a manual that tells them how.” For the full review in the Salus Journal, Vol. 3, No. 5, click here. The Helicon Group, a global competitive intelligence firm, is pleased to announce the release of Proactive Intelligence: The Successful Executive’s Guide to Intelligence, published in hard copy, on demand and eBook formats by Springer Science + Business Media. Why? Because, when you finish reading this book, you will be the data collector, the analyst, and the end-user. Traditional CI is premised on a reactive, two part relationship – a CI professional responding to what an end-user identifies as a need; by doing this yourself you can turn CI from being reactive to being proactive. As the decision-maker, you can get what CI you need, when you need it, and then use it almost seamlessly. ·discusses how to apply CI to develop competitive – and career- advantages. Proactive Intelligence: The Successful Executive’s Guide to Intelligence teaches you how to generate proactive intelligence and use it to advance your business and your career- making it an essential resource for managers and executives, as well as everyone who wishes to integrate CI into their daily work. 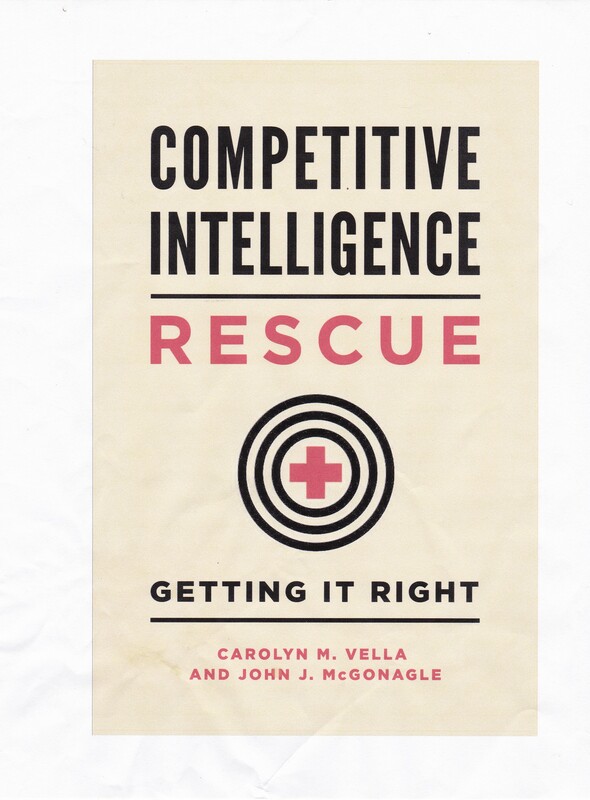 Carolyn M. Vella and John J. McGonagle are partners in The Helicon Group and have co-authored 9 books on competitive intelligence, making them the most published authors on the subject. John received the prestigious Fellows Award in 1998 from the Society of Competitive Intelligence Professionals (SCIP) and its Meritorious Award, SCIP’s highest award in 2007. He has been a featured presenter at 10 SCIP Annual International Conferences. John has presented competitive intelligence workshops, seminars and training sessions on 6 continents. Carolyn founded The Helicon Group in 1980. The Helicon Group is a global competitive intelligence consulting, training and research firm. Carolyn received the Meritorious Award in 2003 from SCIP, the highest honor SCIP bestows. The Helicon Group is the only firm with 2 Meritorious Award winners. Carolyn is also co-founder of SCIP’s Women’s Leadership Council.